Happy Friday everyone! Yesterday I had the great opportunity to guest blog over at CoolKids about my top Five Fall Mommy Essentials. Betsy is a stylish working mom of two kids and she blogs about all kinds of cool finds for kids including funky shoes, great deals on cute clothes for kids, and fun crafts and recipes. Check out her blog for some great deals and other fabulous ideas for kids. Here are my Fall 5 Essentials for the stylish mom who desires uptown chic with downtown comfort. One of our favorite things to do on a beautiful fall Sunday morning in Boston is having Brunch in the South End and then taking a leisurely stroll down Newbury Street and the Charles River. So here are my five essentials for stylish moms who want to eat and stroll in style. 1. A super chic and modern stroller. I am partial to the Bugaboo frog stroller because it adjustable, looks trendy, and is great for all the uneven and bumpy sidewalks in the city. 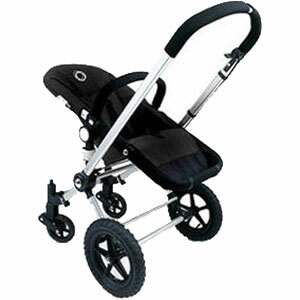 But these days there so many great options for stylish strollers. 2. A great pair of flat boots. I already have a pair of over the knee black boots but I am on the search for a nice pair of brown tall boots. I like these Tory Burch over the knee flat boots because they are stylish yet extremely functional and comfortable for long walks. 3. A Statement necklace. Jewelry can really dress up a casual and simple outfit and sometimes just wearing one bold necklace can make all the difference. 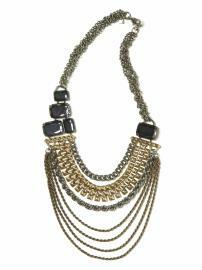 Here is a necklace from Banana Republic I am going to buy. I think this necklace is versatile enough to wear year round with lots of outfits. 4. A carry all bag is essential. It is always great to select a bag you can fit all your stuff in along with the kids toys, snacks, diapers, and other essentials. I have a couple of cute diaper bags I use. But sometimes I prefer to carry one of my larger handbags instead. 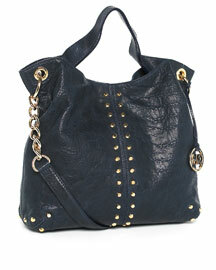 I like this Michael Kors Uptown Astor Shoulder Bag in Indigo. 5. Ok last but not least every stylish mom needs a chic leather jacket. I ended up getting one by BCBG on sale back in April but it is no longer available. 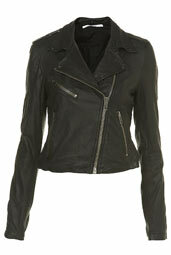 This black leather jacket by boutique is available at Topshop and it comes in a variety of colors. I would wear a leather jacket with a floral dress or skinny jeans and a long top. Add some tall boots and the look is complete. There you have it. These are my Top 5 Mommy Essentials for stylish moms who enjoy going to brunch and taking a stroll on a crisp autumn day.